Home > ARENAWIRE > Australian businesses are making one big mistake when it comes to renewable energy. Australian businesses are making one big mistake when it comes to renewable energy. If there was any doubt that the Australian business community is a little confused about renewable energy, here’s the proof. A study has found the nation’s large companies are cleaved into two contradictory groups: those who are using renewable energy because they are confident it will save them money, and those who aren’t because they are sure it is too expensive. Market research firm Ipsos was commissioned by the Australian Renewable Energy Agency in late 2016 to survey more than 90 of the country’s biggest companies. At the same time, it asked consumers about their willingness to pay for clean goods and services made using clean energy. The responses in the latter group were largely one-way traffic – three-quarters of consumers (76 per cent) said they would choose a product made with renewable energy over one that wasn’t. Almost two-thirds said they would pay a premium for clean goods. What consumers want. Source: Ipsos. But this message appears to not be getting through to businesses. 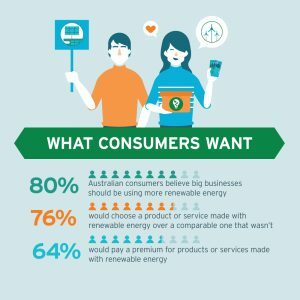 A clear majority (57 per cent) of companies polled, across both public and private spheres, believe their customers have no expectations that they should be acting to reduce reliance on fossil fuels. “There is a clearly knowledge gap in the business sector around the benefits of renewable energy to their business, and there are some misconceptions around the cost of renewable energy,” ARENA CEO Ivor Frischknecht said. Nearly half (46 per cent) of big businesses currently use some renewable energy, but most of them don’t use much. For two-thirds of that group, the proportion of their energy coming from clean sources is less than 10 per cent. Contrast this situation with that in the US, where nearly two-thirds of the biggest companies have set ambitious renewable energy or sustainability targets. Seven of the world’s largest companies, including Microsoft, Apple, Google and Facebook, are aiming to run entirely on renewable energy in the medium or long term. The growth in corporate support for renewable energy is not restricted to the US and Europe. India’s largest car manufacturer, Tata Motors, has committed to being 100 per cent clean by 2030. 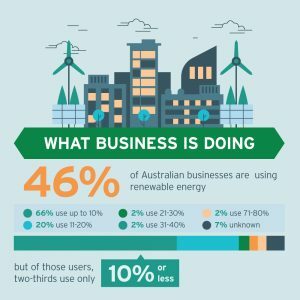 When Australian businesses were asked why they were using renewable energy, the most common answer was that it cost less. Other reasons nominated were that building a more diverse energy supply was sound risk management, that it lifted the company’s ‘social licence’ and that generation and storage technology had significantly improved. Here’s where it gets a little strange. For the 54 per cent of Australian companies those who don’t use renewable energy, the converse reason was the case. When asked why, they most often said renewable energy cost too much. They also cited competing priorities and a lack of knowledge about what was possible. What Australian businesses are doing. Source: Ipsos. In the report The Business of Renewables, ARENA says many big businesses do not grasp the demand for, and true cost savings of, renewable energy. “[It’s] preventing them from making rational long-term investment decisions in the best interests of both shareholders and customers,” the report says. The report cites a Harvard Business Review article that says most firms make the mistake of treating energy as a cost that needs to be managed, rather than an opportunity. 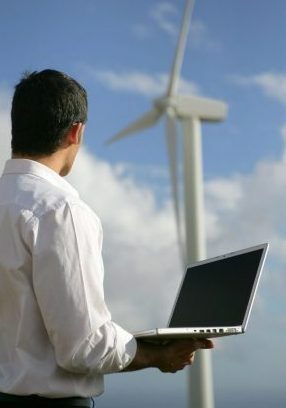 It lists five steps to creating an energy strategy that can supply a competitive advantage: getting the chief executive engaged; integrating energy use into the company’s vision, in part by asking whether customer, investor and employee expectations are being met; measuring and monitoring energy use; shifting to renewables where possible; and letting customers and stakeholders and investors know about it. 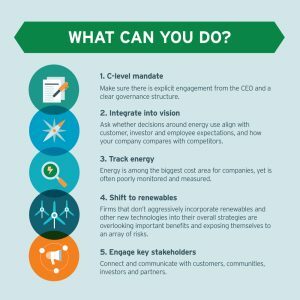 How businesses can handle a shift to renewables. Source: Ipsos. The importance of making the shift is becoming stark. The cost of electricity has surged this year, with increases of 20 per cent in several jurisdictions kicking in on July 1. The increase is predominantly due to the inflated cost of natural gas, which has become up to eight-times more expensive as most of the east coast supply is exported to Asia. As the most expensive fuel being used it sets the wholesale price in the National Electricity Market. Prices have also risen due to a number of coal generators closing in recent years without replacements being built. Some business groups blame the investment strike on a lack of policy certainty. All of which favours those who are bold enough to change. “In the current climate when volatility in energy prices are having a very real impact on the bottom line of some businesses, the potential benefits of switching to renewable energy are significant,” Mr Frischknecht said. The businesses that have invested in renewable energy have mostly opted for onsite generation over paying for new plants elsewhere through green power schemes or power purchase agreements. And the businesses that are building onsite are overwhelmingly installing solar photovoltaic panels. More than 70 per cent of businesses using renewable energy have chosen solar. They say that it makes the most sense financially, is easy to install and the equipment has a relatively long life-cycle. The dramatic decline in cost of solar PV – a 58 per cent decline between 2010 and 2015, and still falling – means the time in which a 5KW system pays for itself in savings on electricity bills is between three and eight years, depending on where you live and how much of the electricity generated is consumed onsite. About 1.7 million Australian households and businesses have installed systems. But another change may be under way. The survey suggests that companies planning to install renewable energy for the first time increasingly say they are considering power purchase agreements with independent energy generators. Despite the survey suggesting Australia is trailing other countries, the report estimates corporate renewable investment over the next 18 months will be at least $439 million, and possibly up to $910 million. It is most likely to come in construction, mining, financial services, agriculture and food processing. 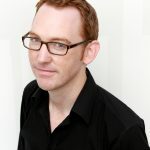 Adam Morton is a former Environment Editor and Senior Writer for The Age and Sydney Morning Herald. He is an associate at the University of Tasmania's School of Social Sciences.